How do the letters of Sgt. 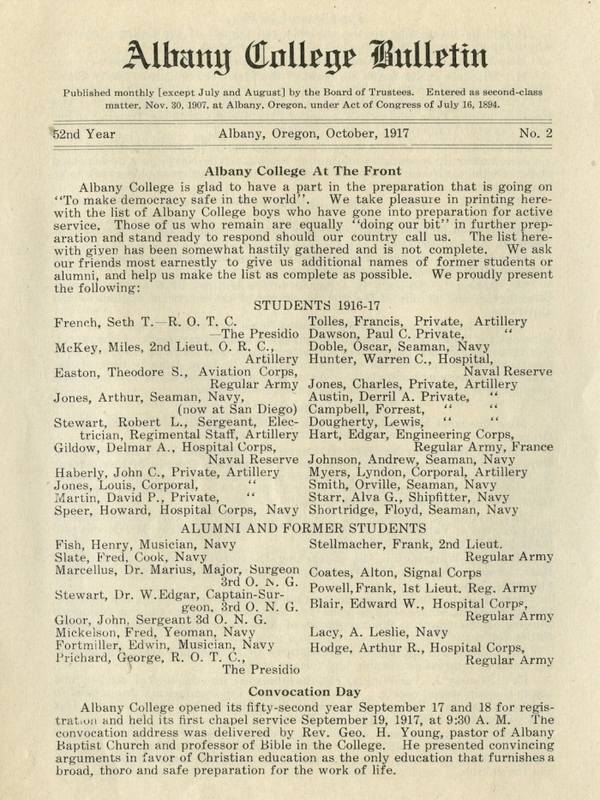 Morgan S. Odell and the records of Albany College reflect the American experience of the First World War? Between 1914 and 1918 the conflict then known as the Great War, or the World War, spread across the globe and unleashed death and destruction on an unimaginable scale. 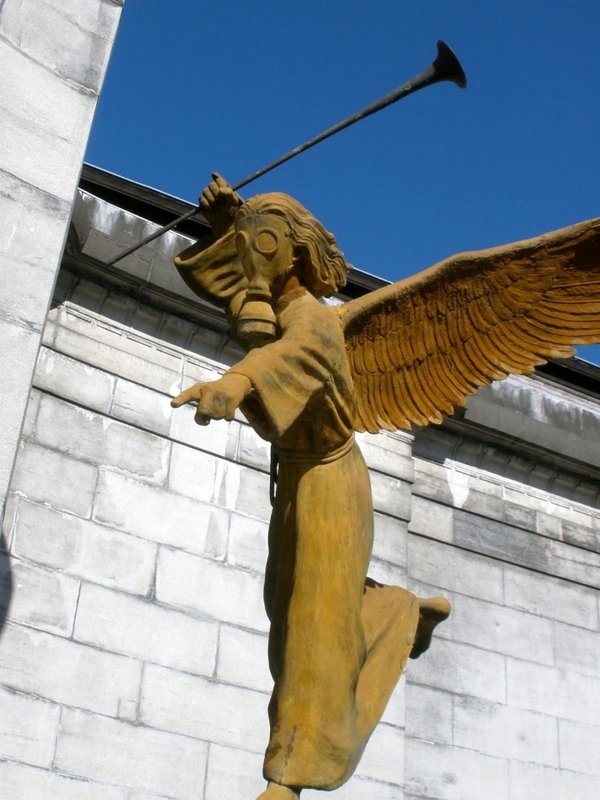 It has been called the first “industrial” or “modern” war and it set in motion political, social, economic and cultural forces that proved impossible to contain and that changed the world forever. In many ways we still live with the legacies of this war. “The Great War 100 Years Later” is a centenary commemoration of the First World War focusing on the impact of the war at Lewis & Clark College (formerly Albany College) and the personal experiences of Morgan S. Odell, the first President of Lewis & Clark (1942-1960) and a volunteer ambulance driver on the Italian Front during the war. The exhibition draws from a wide range of documents and artifacts highlighting various aspects of the war and its legacies. 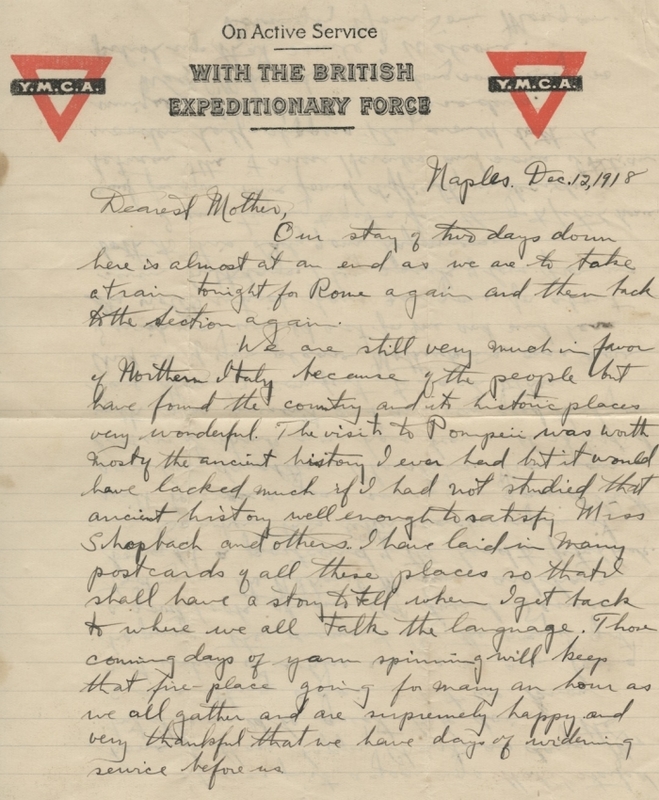 Featured items include the letters and personal effects of Sgt. Morgan S. Odell, US Army Ambulance Section, 1917-1919; bulletins from Albany College, 1916-1919, with details of students and alumni serving in the war; a first edition of Ernest Hemingway's A Farewell to Arms; Theodore Roosevelt’s The Great Adventure signed by President Roosevelt and his second wife Edith; the report and minutes of evidence from the parliamentary investigation into the 1916 Easter Rising signed by Gavan Duffy, the lawyer who defended the Irish rebel Roger Casement at his treason trial; French propaganda posters from the home front; and military medals and insignia from over a dozen countries. The exhibition will be on display from August 2015 through July 2016 in the Watzek Library Atrium.